After rising as much as 1% yesterday, the Australian dollar tumbled to 0.7125 against the greenback on Wednesday morning after an unexpected dovish switch from the central bank. 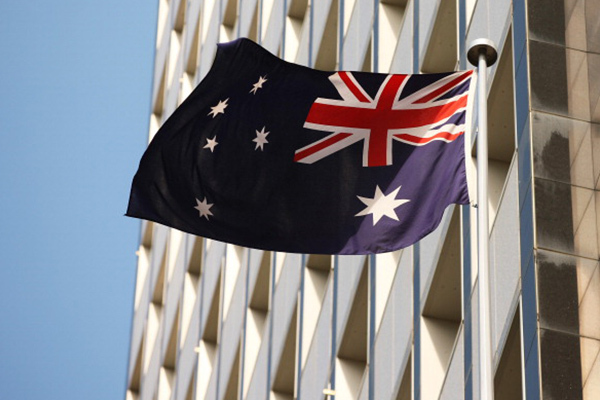 On Monday, Reserve Bank of Australia Governor Philip Lowe avoided guidance to market participants, especially regarding the interest rate outlook. Investors believed that they could expect the RBA to move slowly toward tightening, if inflation and economic conditions allowed it. However, the next day Governor Lowe gave a speech in Sydney in which he adopted a more cautious stance. Even though Australian economic growth is expected to remain reasonable, “downside risks have increased”. Accordingly, RBA’s growth forecast has been revised to the downside. The biggest change concerns monetary policy. Governor Lowe declared that “Over the past year, the next-move-is-up scenarios were more likely than the next-move-is-down scenarios. Today, the probabilities appear to be more evenly balanced”. This was a game changer for investors as it clearly suggests that the RBA would cut rates if needed. In our opinion, the RBA wants to keep some room for manoeuvre, in case the Chinese slowdown proves to be more acute. More than 38% of Australia’s exports go to China. We expect the Aussie to remain under pressure until at least the end of the Sino-USA trade conflict. Inflation outlook cuts by the Bank of Japan for 2019 don’t seem to bother investors, who are favouring JPY as a safe haven currency, after US President Trump’s State of the Union address that didn’t provide any news on trade talks with China. It seems that US authorities are willing to enforce their right of extradition of Huawei CFO Meng Wanzhou and are willing to introduce sanctions for national security reasons against China-based telecom equipment supplier ZTE for suspicion of espionage, bad news for trade truce. There are probably good reasons for such a posture, as shown by Trump’s insistence on the need to invest in “cutting-edge industries of the future”, including AI and 5G wireless networks, China has become a major competitor in technology development. Headlines do not bode well for US–China round two trade talks next week in Beijing, led by U.S. Trade Representative Robert Lighthizer and Treasury Secretary Steven Mnuchin, where topics including intellectual property protection and structural reforms (market access and subsidies) are going to be discussed. A deadline of 2 March 2019 for finding a deal has officially been announced by Trump. The recent rise in JPY suggests that investors’ optimism is not growing, although the Japanese economy is not safe from Trump’s “America first” policy. Trump’s recent mention to Congress that it should pass the Reciprocal Tariff Act shows that the EU and Japan, US allies, could also become targets looking forward. Currently trading at 109.66, USD/JPY is heading along 109.40 short-term.